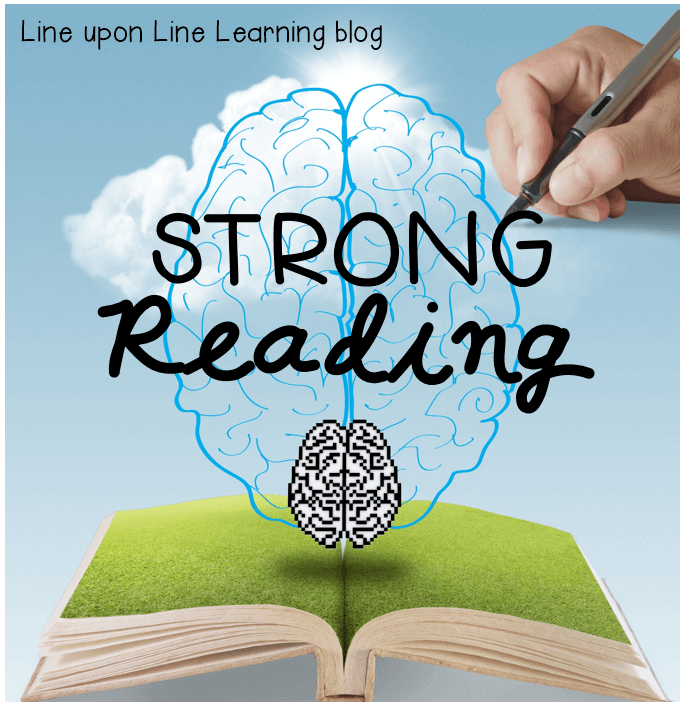 My son is strong reader, so I’ve decided to institute a “strong reading” project each week to make sure he practices those skills he’s developed. You see, although my son is reading at a 4th grade level, he is still gravitating toward lower reading level books. For example, he’s still rereading The Magic Tree House books; Judy Moody and Stink; Ready, Freddy! ; The Pee Wee Scouts, and so forth. There are worse books (I really don’t like My Weird School and Junie B. Jones, for example). But the ones he chooses still provide somewhat stilted dialog, immature and rude comments, and formulaic plots. So the question is: How can I drive my son toward books that have strong language, better complexity, and challenging language that will help him develop a stronger vocabulary? I’ve decided to institute an “assigned reading list” each week. This “strong reading” list gives him guidance on books I want him to read. Some are fun. Some are nonfictional or align with our curriculum. Others are a bit more difficult but still rewarding to read in the end. If he reads five (four for the first week) from the list by Friday, then he gets a special something: movie of his choice, a bowl of ice cream, a trip to the Children’s Museum. “Strong Reading” gives my son a bit of required reading, but it also provides him with choices. He can choose which books to read. He can choose if he wants to finish a particular book or five for the week. But he has to read at least 30 minutes of strong reading a day. We have just finished week one of this project. I think it was a success! He was eager to find out what this week’s choices would be! Q: What were your favorite articles? A: My favorite articles were: The Rule Review; Family Fun Time; Sharing Sweets; and Chihuahuas and Choices. Alexander the Great by Demi. This is a picture book with gorgeous golden paintings. However, there were lots of sentences on each page, and the print was small, so it was intimidating to Raisin. He really loved it, however! Q: What was the most interesting thing you learned about Alexander? The Courage of Sarah Noble. This early chapter book was about a girl in the 1600s in America. She had to live among the Indians, and it was a difficult situation. I’ve been trying to get him to read this for months! Q: How was Sarah’s life different from yours? How was her life similar to yours? A: Sarah was different from me because she and her dad left the rest of the family. Me and my dad will never do that! Sarah was similar to me because we both have a little sister! The Velveteen Rabbit. This classic story is not too long, but apparently it was intimidating enough that Raisin did not initially want to read it. He enjoyed it in the long run, and recalled details about it days after the fact, telling me about the Scarlet Fever and the rabbits in the woods. Q: Which of your toys do you love so much you wish it was real? A: I do not have a toy that I wish was real, but I wish my imaginary friends were real! He really enjoyed this assignment. I made it all the more fun by emailing him the list of books. I also emailed the questions after I knew which books he read, and he typed up and emailed the responses himself. He loved typing and saying “No! You can’t look yet!” as he prepared his thoughts. I feel like it has been a win in many ways! I’m looking forward to seeing how the next weeks go with this project. What do you do to challenge your children when they are reading and/or performing at a lower level than you know they can be at?